No Computers or Special Skills Needed! 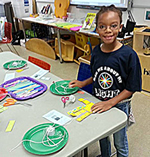 Introduce kids to the robotics embedded in their toys and electronics, and open their imaginations to new ways to use technology in everyday life. Educators! Want an Amazing Robotics Workshop at Your School, Library or Museum? 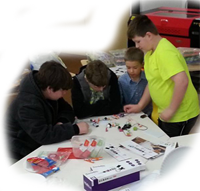 Kids 7 and up learn about real robotics concepts as they make their own working robots to take home. Contact Kathy to find out more! using household materials and recycled toys and devices! You can make robots that really work from everyday stuff, but why stop there? 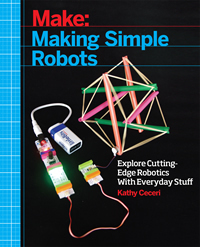 In Making Simple Robots, beginning projects teach you the basics of soldering, 3D printing, Arduino programming and more! Build These Amazing Robotics Projects! 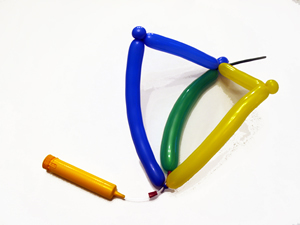 Find out how inflatable robots really work! Learn about the bouncy structure being studied for NASA space landers! 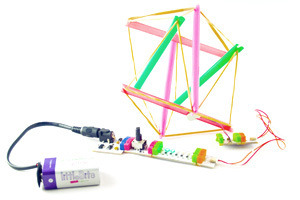 This project uses littleBits electronics building modules. 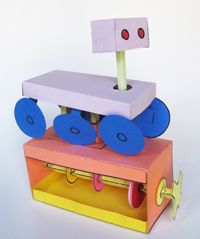 a primitive kind of robot that shakes and rattles its way around the table, drawing as it goes! 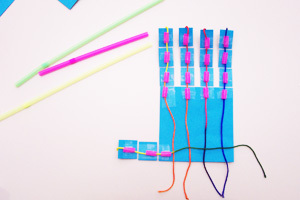 Make a working version of the 3D printed hands being made by volunteers for e-NABLE for kids who are missing fingers. 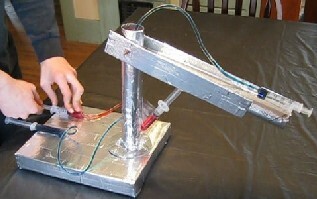 Design and test your own gravity-powered walker like those being studied in real robotics labs! All recycled parts! 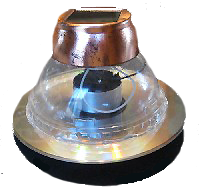 Make this BEAM-type robot that dances and skips around in sunshine or bright indoor light. Why are humanoid robots sometimes creepy? 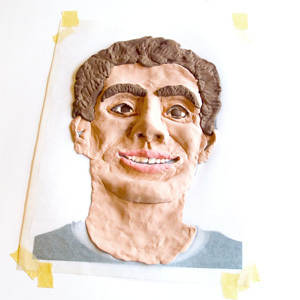 Learn about The Uncanny Valley and make yourself a robot clone. Fold an Origami Robotic Inchworm! 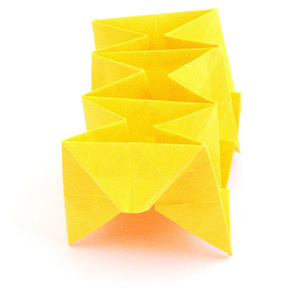 Make a robot using the same origami folds as real self-folding paper robots. Check the Crafts for Learning Schedule to see where Kathy will be appearing. 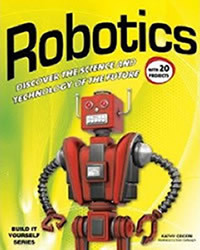 Visit the Amazing Robotics Amazon Store for toys, books, and parts for our projects! And for more fun robot news, "Like" the Amazing Robotics Projects Facebook page!